It’s the End of the World, or maybe not…. 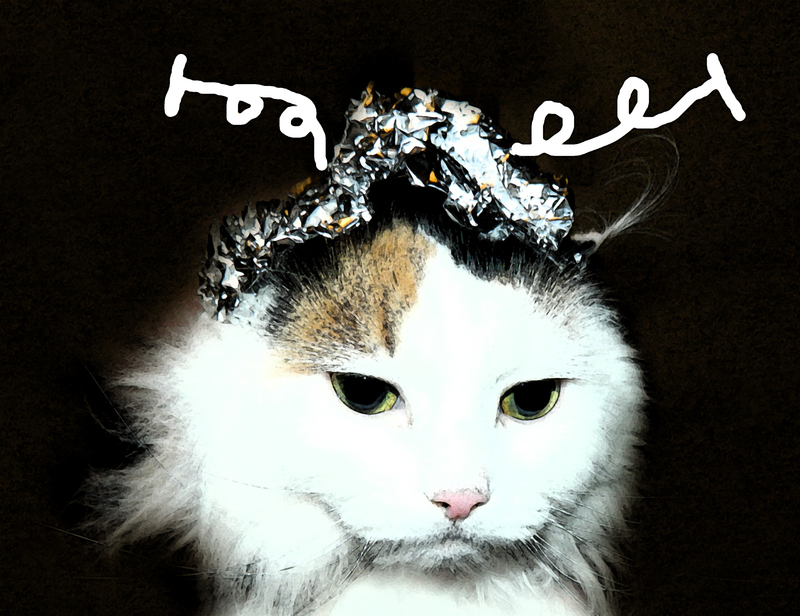 ready with her tin foil hat, are you? The end! It’s getting nearer. Skeptical? There are a lot of reasons to be skeptical about the latest prediction that the world will end on the next winter solstice. This year’s solstice is on the 21st of December and happens to coincide with a significant date on the Mayan calendar. Let’s forget for a minute that calendars are meant for keeping time, not predicting the future, and look at the facts of the prediction. I’m the organizer of the Skeptics of Tucson and we really mean it when we say, “We don’t tell you what to think, just that you think critically.” As a result, we have some Skeptics in the group that believe in what others might refer to as “woo.” One lady in our group went as far as to bet another member $5000 that the world actually will end on December 21st. For the record, that has to be one of the dumbest bets in recorded history. If she wins and the world does end, the $5000 will do her no good but if she loses, she gets to start 2013 with less money in the bank. The logic and skeptical message doesn’t reach everyone. The Skeptics of Tucson had a meeting a couple of days ago and during a presentation on the subject we had a discussion of the calendar, talked about some of the leading predictions on how the world is expected to end, and finally we went into some detail on how NASA was responding to 20 questions on the possibility. The Maya civilization was at its peak in Central America around the year 250 CE (Common Era) and lasted until about the year 900 CE. It didn’t completely die out and the Maya people are still with us and still speak the language. The civilization was impressive. They left remains of large urban centers but the cities collapsed within a couple of generations and there is no accepted reason for their rapid decline. There are plenty of guesses, however. Their downfall had been attributed to overpopulation, foreign invasion, peasant revolt, the collapse of key trade routes, an environmental disaster, epidemic disease, and climate change. It’s evident that the population exceeded the carrying capacity of the environment and includes an agricultural failure. An intense 200 year drought ultimately led to the collapse of Maya civilization and ironically their farming technique, which included converting rainforest into farmland, intensified the reduction in rainfall. Their system of calendars was amazing, however, and dates back to the 5th century BCE (before the Common Era). Mayan calendars are well documented and inscriptions derived from our understanding allow very precise dating of archeological artifacts down to the exact day. The “long count” calendar gives the exact day from their mythological starting point which occurred on August 11th, 3114 BCE. It is the long count calendar that people rely on when they predict that the earth will end on this year’s winter solstice. There is more to say on their remarkable calendar but first, if we are serious about using their calendar as a predictor of the end of time we should look at some of their other beliefs. The mythological beginning is a good place to start. These tales have been shortened but there are links to other web pages where the stories are told more completely. The Popul Vuh is the creation story of the Maya. In one version, it starts with the sky and the sea. The “Heart-of-Sky” existed alone and was lonely. He makes mountains, trees, and finally animals but they couldn’t talk and praise him so he made people out of clay. The clay people were not pleasing to him so he let them melt away. He then turned to making people out of wood but the result were not pleasing so he used a great hurricane to chase them into the forests where their faces are crushed and they turned into monkeys. In this story, monkeys are a failed experiment in human design. Another story of the Popul Vuh starts with the first father (One Ahuapu) walking past the mouth of a cave and is invited to play a ball game with the gods of the underworld. They behead him and hang his severed head from a tree. A daughter of one of the gods comes by to chat with the severed head and the head spit into her hand which caused her to become pregnant. She gives birth to the “Hero” twins. They grow up and learn about their father. They find the cave and the gods that set upon their dad and challenge them to a ball game. They win but they had a marvelous trick to show the underground gods. One of the boys kills the other then brings him back to life. One of the gods asks if they can perform the same trick on him. One of the boys kills the god but doesn’t bring him back to life. Instead, the boy brings the father back to life and the family heads to the surface. Along the way the First Father picks up an ear of corn. At the surface the boys take to the sky. One becomes the sun and the other the moon. Their father becomes the God of Maize and all of the Maya descend from that one ear of corn. It’s helpful to look at what the Maya believe, especially if we assume that they were beyond us in their knowledge of the universe. How can we assume that they knew so much about the end of time when their beliefs about the beginning of time are so confusing? You can find a widget on the internet that will give you the correct symbols. If we assume that the prediction is true and that the world will end on December 21st, how’s it going to happen? There are many ways that the world could end including global war, an ecological event, a global disease, asteroid impact, supernova explosion, solar flare or corona mass ejection, gamma ray burst, or the sun could die. One of the most common beliefs is that we’re headed to a cataclysm with Nibiru or Planet X.
Nibiru is the product of the fertile mind of Zecharia Sitchin. He is the author of Twelfth Planet and self taught Sumerian cuneiform translator. He believed that extraterrestrial events were reflecting the texts and religious beliefs of ancient civilizations. From his research he determined that there was another planet that moved in and out of the center of the solar system every 3600 years. He called it Nibiru from a character in Sumerian mythology. According to Zecharia Sitchen, Nibiru was involved in the creation of earth. It would be ironic if it causes the earth’s demise. Mr. Sitchen died in 2010 but his ideas live on in the Raelian religion, in movies such as Star Gate and Cowboys and Aliens, and in video games such as Conduit. One of the most masterful confabulations of Sitchin’s ideas, Mayan myths, UFO nonsense, and events in the news is being perpetrated by Nancy Lieder , the self professed emissary of the Zetas from Zeta Reticuli. In one of her more recent Zeta Reports (#53), she claims that President Obama is right on the verge of informing the world about the pending collision with Nibiru but has been thwarted on numerous occasions by current events. If you have time, I recommend that you watch the video. You may opt to wear an aluminum foil hat but you should not be drinking anything because it may end up sprayed on your computer screen. December 21st, 2012 is going to be a great day and I plan on waking up on December 22nd with a hangover and the remnants of a “End-of-the-World” party to clean up! Donald Lacey is a retired engineer and program manager from the United States Air Force and Raytheon Missile Systems but holds many volunteer positions. He is the Arizona State Director for American Atheists, the Treasurer of the Secular Coalition for Arizona, a board member of FreeThought Arizona. 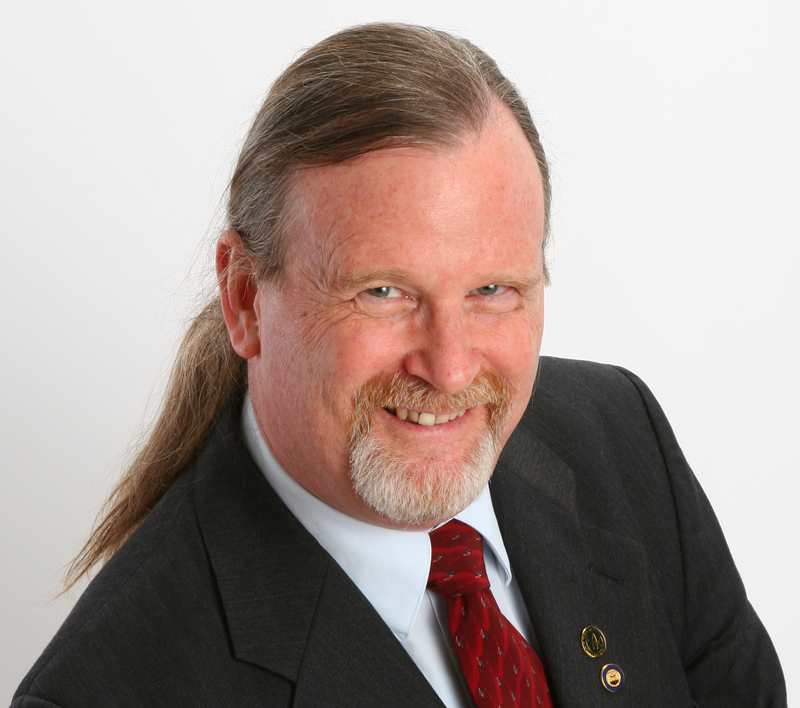 He is also the organizer of the Tucson Atheists and Skeptics of Tucson Meetup.com groups.